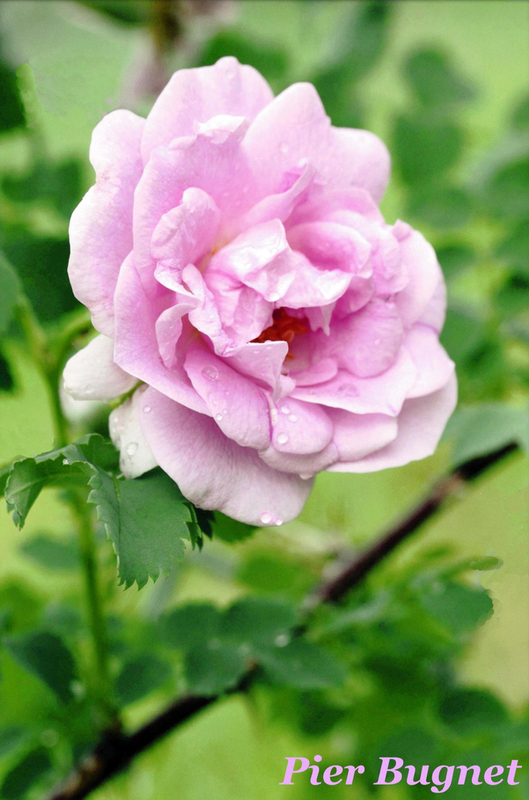 It came to the attention of the Fairbanks Garden Club that our city was in danger of losing a type of rose that was brought here over sixty years ago. The 'Pier Bugnet' rose has proven to be a very hardy one for our harsh environment. It thrives in fifty below zero temperatures in winter and almost twenty-two hours of sunlight in summer. So I took this on as my presidents’ project for the National Garden Clubs. John Holms, who was one of our city's pioneer gardeners, brought this rose here from Eastern Canada in the 1950s. At the present time there is no commercial nursery in either country that carries this hybrid rose, and there has not been one in over forty years. It was decided that our club was going to save this delicate gem for our whole community to enjoy. The lot where it was established was going to be bulldozed over by the Department of Transportation. We had no idea who we should ask so we just went to dig the roses up to winter over until we found a home for them. The former owner, Jackie J., came rushing over expressing alarm at what we were doing. When we told her who we were and what we were going to do, she was thrilled with the project. Our club works closely with a non-profit called Festival Fairbanks to beautify our downtown area annually. 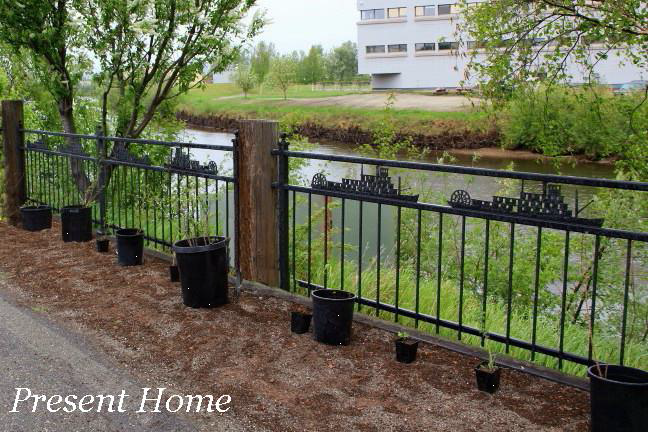 They plant an established river walk that runs through downtown next to the Chena River. A new bridge that was recently built makes it possible for sidewalks on the other side as well. We have planted nineteen roses in a prominent bed along the river walk and will display a sign with the history of the roses. A little water and fertilizer and we are off and running to save this little rose. More important will be phase two of my presidents’ project. The new sidewalks will need erosion control during and after the building process. Members of our club will propagate the roses for the other side to help shore up the riverbank and walk. The growth habit of this rose is that it sends out runners underground. So all in all it is a win-win situation with minimal cost to our small twenty-nine member club. While saving this hardy but delicate gem for our community we are helping to minimize the impact on the environment by the new construction. This project shows that it does not always take a lot of money or effort to make “A World of Difference." The Pier Bugnet rose, a rare and beautiful type of rose that can thrive in both the harsh winters and long days of summer in Alaska. The Pier Bugnet's current home, on the bank of the Chena River. 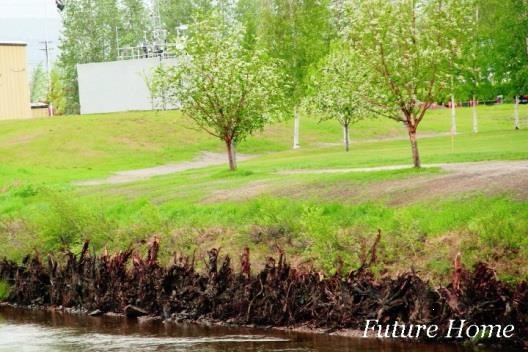 The Pier Bugnet's future home, on the opposite bank of the Chena River. The rose will be used to help with erosion control on the second side of the bank, once the river walkway is completed.